If I could, I would pack up my bags in an instant to move to the great land of Auz. 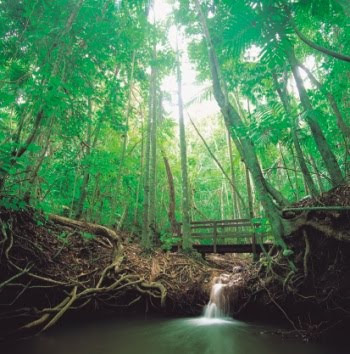 I love the environments there, being surrounded by the NE Queensland rainforests and the clear waters of the Great Barrier Reef, and the people could not be more chill and kind. But the food...oh the food! If you want to visit one country to gain a culinary experience, Australia is it!!! 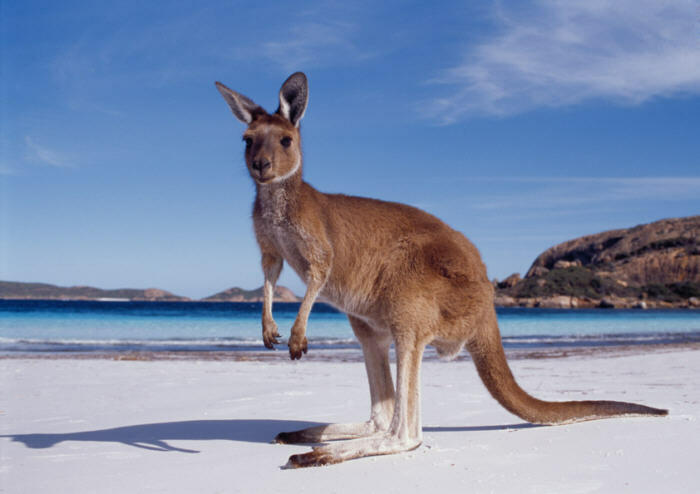 But even though Australia is made up of a huge ethnic population providing the continent with a variety of different cuisines, they also have many of their own specialties which I have had the honor of trying...well, at least some of them because I don't eat meat (kangaroo anyone???)! First off, don't ever call them cookies. They'll laugh at you and call you a "typical American". They're biscuits, and no not like the kind you get with gravy and chicken fried steak. 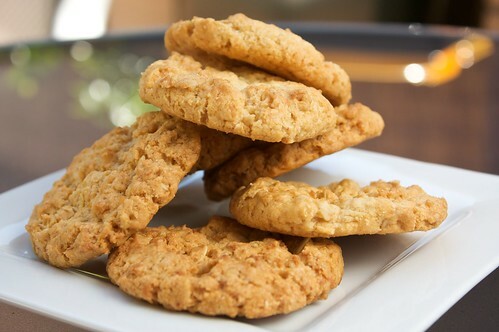 Instead, they're delectable goodies you get to have as a treat during your afternoon "smoko" with some tea or coffee. I had my fair share of biscuits both times I traveled over there and tried a variety of different kinds, but my favorite? Lets just say I bought an entire CASE in Duty Free before I came home, both times. Even the Aussies can't get enough of TimTams. I mean, who could resist a chocolate biscuit, filled in the middle with anything fromdark/milk/white chocolate, smooth mousse, caramel, mint, crunch, cheery...the list could go on. They are a perfect match for any drink and provide you with enough sweetness to give you that afternoon pickup you might need to finish out the workday. I have found out they do sell them in the U.S. now through Pepperidge Farm...but something about them being from Australia, by Arnott's, makes them taste that much better. 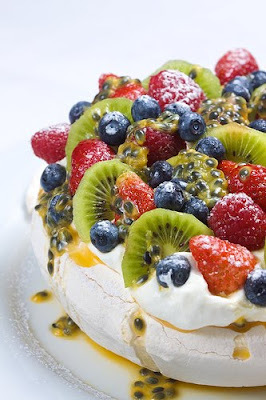 Three other treats the Australian's are known for include Lamingtons, ANZAC Biscuits and Pavlova. When I studied in Australia during the Spring of 2006 I was graced with a chef who not only graced me with the flavors and experiences of these goodies, but also taught me how to make them too! They're all relatively simple to make, but you gotta love coconut, which seems to encompass many of the desserts/treats over there. 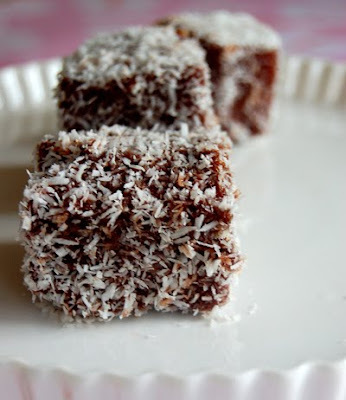 Alas, Lamingtons can be described best as a small piece of cake covered in chocolate icing and rolled in coconut flakes. It may seem light and airy, but this is not for the light of heart. Plan on having a nice drink on the side to balance it all out! And then there is Pavlova. Like we make yellow cakes with chocolate frosting and such for many of our family and holiday gatherings, you'll be presented most often with one of these light meringue cakes, often topped with fruit and whipped cream, as your dessert of choice. Or TimTams. [[wink wink]] Anyhow, I certainly loved this dessert for it's airiness and having just enough sweetness along with the fruit and cream to round out a nice relaxing dinner from the barbie. Now we'll move onto the more savory dishes and eats of the Aussies. I unfortunately did not have the grace to try their famous Meat Pies or game meats like Kangaroo, Crocodile or Emu, but I'll let you in on what many of my friends thought of their flavors and varieties! I remember walking into the Sydney Airport after being in a plane for 12 hours and being presented with the overwhelming scent of...pie? I never expected to find myself falling straight into a case of Mini Meat Pies, which looked like American Pot Pies to me, but filled with anything from ground beef, to chicken, to lamb and things I don't even remember. And they were also topped off withTomato Sauce (not to be mixed up with Ketchup, for they don't add sugar or vinegar to their sauce; which I found to taste way better btw), all to be eaten out of a small bag with your hands. No utensils required; how convenient!!! And meat? Well I can only tell you what I heard about how their's tasted. It wasn't your typical meat though...oh no sir. I'm sure you're not going to go to the butcher and find "Kangaroo", "Crocodile", or "Emu" on the for sale board. Now, don't go about thinking this is all they eat as they consume the typical beef, chicken, and seafood just like Americans. We had the pleasure of having a nice night out on the patio of our school yard with the barbie to try out Kangaroo and Crocodile skewers to see what everyone thought. I almost gave into it, but along with not wanting to go non-veg after so many years, I was also graced with seeing this picture in my head and simply couldn't do it! Anyhow, last but not least there are the spreads of Australia. Spreads? Like Peanut Butter? Yes, but don't let that fool you as the Australian's (at least all the ones I met!) think it's funny how much PB American's consume and why they would want to eat it on everything from bread to apples and bananas or even their noodles! Much to my demise, they prefer their toast to be spread with butter and jam or their favorite: VEGEMITE. I'm sorry Australia, but I don't know how you can stand eating this on your breakfast toast. I gave it a try to say that I've had it...and I just about gagged. I apologize for the mental picture, but the salt and yeast-iness of the spread was a bit too powerful for me. I think I'll stick to my peanut butter and jelly thank you! Now this only covers a small portion of the goodies you'll find unique to Australia and I hope that one day you might be able to visit the fabulous country yourself to not only try all their wonderful foods, but also the environmental experiences and presence of such wonderful and happy people. Ah that was glorious. Thank you so much Melis! 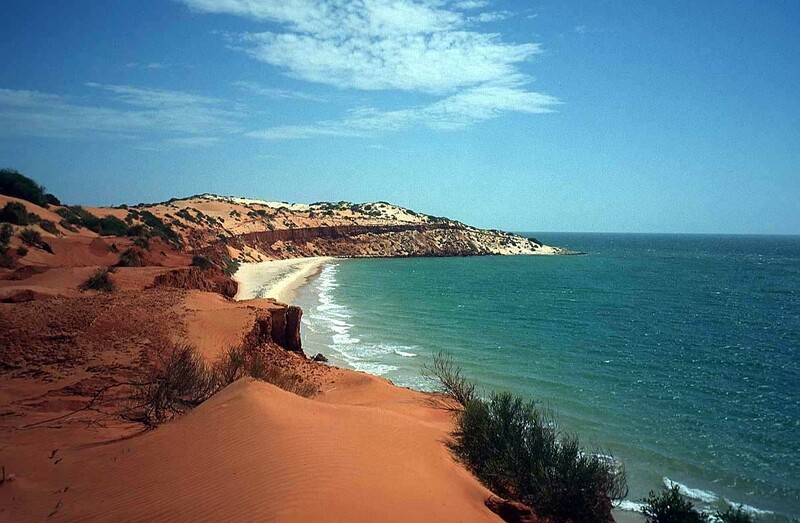 Not gonna lie, it's been my dream since I was 12 to spend my honeymoon exploring each and every Australian province. If you're going to travel that far, for that long, might as well do it with someone you love that much, right? ;) See you Monday! Loved this post! Educational AND filled with delicious food! BroccoliHut: Couldn't have said it better myself!